Q: Where Can I Get Forklift Training? A: With CertifyMe.net, anywhere on the planet with an Internet connection! Are you a trained forklift operator who needs their certification? Would you like to know where to get a forklift license? Do you want to know exactly why you need a forklift license? You’ve come to the right place. CertifyMe.net can help you get a forklift license at your workplace, in your local library or in the comfort and convenience of your own home, right next to the coffee-maker! All you need is an Internet connection. We’ll provide each important step and topic you need to be certified and OSHA-compliant, so you can better protect your safety and qualify for higher paying jobs. Learn more about forklift certification near me below! Q: Is there any forklift certification training near me? A: Absolutely. CertifyMe.net specializes in online forklift certification. With a reliable internet connection and some extra time, you can become OSHA compliant in no time! Where Can I Get Forklift Certification? If you’re interested in receiving your forklift license, the first step will be figuring out how and where you can get your certification training. Choosing a program that suits your needs and schedule is the first point to consider, as well as finding a program that will provide the benefits you’re looking for. The first benefit of receiving a forklift license is that certified forklift operators get all the good jobs. Ever since new health and safety regulations came into force, OSHA has the power to impose stiff fines of up to $7,000 for EACH non-certified operator. Certain willful violations attract fines as high as $30,000. In today’s competitive job environment, who do you think the best jobs will go to – non-certified operators or the people who know where to get a forklift license? THAT is why you should want to know where to get forklift certification! The how part is easy! With forklift certification, you can make yourself indispensable to your current or future employer. That is another reason why you want to know where to get forklift certified in a real forklift class! How Does CertifyMe.net Work for Forklift Training? Do you already have some experience at operating a forklift truck? If not, the first step on your agenda will be asking a supervisor to train you on the basic steps of how to drive a forklift. Next, CertifyMe.net can have you trained and certified within the space of an hour or two. With online training, finding forklift certification near me will never be a problem! This part of your training and certification is conducted online by experienced forklift operators with additional training on all OSHA vital safety regulations and how to make sure you “get” it. There are no books, no videos or DVDs for you to purchase. At the end of the training, there is a short test to demonstrate that you understood the information that was presented to you. This test is “open book” so you can go back and refer to the course material if you happen to answer a question incorrectly. The second part of where to get forklift certified takes place on the site where you will be working. OSHA requires that site-specific and equipment-specific training and certification be provided in addition to classroom-style training. It is MANDATORY for the employer to provide this. Once you have completed the online training and passed the test, your computer will automatically print out a checklist for the hands-on evaluation. After you have passed Phase Two of your training, your employer may then print out a temporary certificate of completion and an operator card. Permanent ‘original’ copies will follow 7 to 10 days later in the mail. What Types of Forklifts Do We Teach? All courses come in English and Spanish, and each cost only $59.95. When you purchase initial forklift license training from us, you also receive all of your OSHA-required three-year renewals for free, for life! Where Can I Use My Forklift Training? Anywhere! Since our training is all online, you can complete it and use it for your desired position anywhere in the country. Our courses are nationally accredited and completely OSHA-compliant, which are details that any and every potential employer will appreciate greatly! Knowing how to operate a forklift and being forklift certified makes you eligible for a variety of jobs across the United States. Airports, shipping yards, warehouses, big retail stock rooms – the variety of forklift jobs are endless. If you want to earn more money by obtaining forklift certification, give us a call on 1-888-699-4800. Earn your forklift operator card in Riverside from anywhere you have access to the Internet. Learn more about affordable online forklift classes at CertifyMe.net. If you’re searching for forklift certification in sunny San Diego, CertifyMe.net is the leader in web-based forklift training. Learn more about your future forklift operator career in San Diego today. At CertifyMe.net, receiving forklift training in Sacramento is easy with inexpensive web-based training. Get certified anytime, anywhere, in an hour or less. Looking for forklift certification in Fresno? Get your operator card in an hour or less with our web-based training. Learn more at CertifyMe.net, the leaders in online forklift certifications. With inexpensive web-based forklift training, head to CertifyMe.net, the center for forklift certification in Los Angeles. Learn more about forklift operator careers in Long Beach at CertifyMe.net. With simple web-based classes, get certified anywhere you have Internet access. Forklift certification in San Jose is at your fingertips. At CertifyMe.net you can earn your forklift operator card the very same day you start your training. Don’t delay—get trained today! With quick, affordable classes, your Stockton forklift certification is only an hour away. Learn more at CertifyMe.net. Nestled in the Sierra Nevada Mountains, Paradise forklift training can jump-start your new forklift operator career in this charming town. Get training from the comfort of your own home, or wherever you have an internet connection. Our affordable online training program makes getting your Petaluma Forklift Certification easy! Learn more about getting trained in Petaluma. Do you need forklift certification in Oregon? Head to CertifyMe.net where they offer fast and inexpensive web-based training. If you’re looking for Portland forklift training, head to CertifyMe.net to get your operator card the same day. Learn more about our simple and convenient online classes. Forklift training in Las Vegas has never been easier. Learn how to get certified in this booming city with CertifyMe.net, the leaders in online forklift certification. With affordable, online classes, forklift certification in Boise is now easier than ever. At CertifyMe.net, get forklift training with fast, inexpensive online classes. With CertifyMe.net, you can get forklift certified in Denver on your lunch break –we make it that easy. Learn more now. Avoid rainy Seattle streets and get forklift certified in the comfort of your own home with CertifyMe.net. Our easy, online classes are the best way to earn your forklift operator card in Seattle. Learn how to get started today. For forklift training in Tucson, head to CertifyMe.net and learn about their fast and affordable online classes. With fast and easy web-based classes, CertifyMe.net is the headquarters for forklift training in Phoenix. With easy-to-use online classes, forklift certification in Mesa is possible anywhere you have Internet access. Learn how to get certified at CertifyMe.net today. If you’re looking where to go for forklift certification in Arlington, CertifyMe.net offers online training classes and a certification in less than an hour. Learn more. To become a forklift operator in Dallas, get certified in an hour or less with affordable and convenient online classes. Learn more at CertifyMe.net, the top spot for online forklift training. Forklift training in Austin is fast, simple, and affordable at CertifyMe.net. With convenient online classes, you can get trained and certified in an hour or less. Forget books and manuals. With convenient and inexpensive online classes at CertifyMe.net, forklift certification in El Paso is easier than ever. At CertifyMe.net, you can get Fort Worth forklift certification with affordable online classes. Get certified on your lunch break, in the evenings, or on the weekends. Forklift training in Houston is fast and simple with convenient online classes. Learn more at CertifyMe.net. San Antonio forklift training has never been easier with our online classes. Get started today to earn your forklift certification. Forklift certification in Albuquerque is only a click away with CertifyMe.net. Get your operator card in an hour or less. Oklahoma City Forklift training is fast and affordable at CertifyMe.net. With convenient online classes, you can get certified in an hour or less. Get your Baltimore forklift certification at CertifyMe.net. With their easy and affordable online classes, you’re steps away from forklift training. At CertifyMe.net, get your forklift certification in Boston with affordable web-based training. Get certified anytime, anywhere, in an hour or less. New York is a city full of grand opportunity, and that includes the opportunity to start your forklift operator career. Forklift training in New York has never been easier with CertifyMe.net. Get started today! At CertifyMe.net, get your forklift training in Philadelphia on your lunch hour with simple web-based classes. Learn more about getting certified online. Get your forklift certification in Memphis with affordable web-based classes. With 24/7 access, get certified anytime, anywhere, in an hour or less. Nashville forklift training is simple and easy at CertifyMe.net. With convenient online classes, you can get certified from wherever you like with an Internet connection. Learn more. If you’re looking for forklift certification in Miami, CertifyMe.net offers fast, affordable online classes. Get certified today by leaders of web-based forklift training. Get Jacksonville forklift certification anywhere you have access to the Internet at CertifyMe.net. With 24/7 convenience, get certified the same day with our easy-to-use online classes. Interested in a new and exciting career? Get forklift trained and certified in Tampa today to start your career as a forklift operator. For forklift certification in Atlanta, head to CertifyMe. We make getting forklift certified easy and convenient. Charlotte is a great city to be a forklift operator. Start your career today and get training in Charlotte with CertifyMe.net. With online classes, get your forklift certification in Raleigh without costly books or manuals. Get started on CertifyMe.net. If you’re looking for New Orleans forklift training, CertifyMe.net is the right place to look. Get your forklift operator card today with our online courses! Looking for a new and exciting forklift career in Louisville? Get forklift training and certification today to become a forklift operator. If you’re looking where to get forklift certification in Virginia Beach, CertifyMe.net offers convenient and inexpensive online classes. Learn more about web-based forklift training. Get your forklift training in Washington D.C. with our easy online classes. Get certified anytime, anywhere, in an hour or less. With quick, affordable online classes, forklift certification is easier than ever. Get training in Cleveland anywhere you have Internet access and be certified in an hour or less at CertifyMe.net. 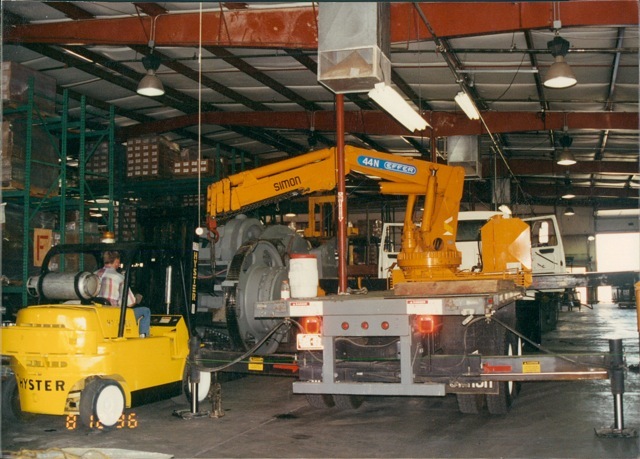 If looking for forklift training in Columbus, OH you came to the right place. Get Forklift certified online today. CertifyMe.net offers convenient and affordable online classes if you’re looking where to get forklift certification in Chicago. Learn more about web-based forklift training. Forklift training in Detroit has never been more simple. Head to CertifyMe.net and learn more about their fast and affordable online classes. For forklift certification in Kansas City, you’ve come to the right place. With our simple online classes, you can get certified anywhere in Kansas City. Forklift training in Milwaukee is easier than ever with 24/7 access to web-based classes. Getting your forklift operator card has never been more simple or convenient. With affordable, online classes, get Minneapolis forklift training whenever is most convenient. Learn more about web-based forklift training at CertifyMe.net. Get the fastest forklift training with inexpensive online classes at CertifyMe.net. Learn more about forklift certification in Indianapolis. 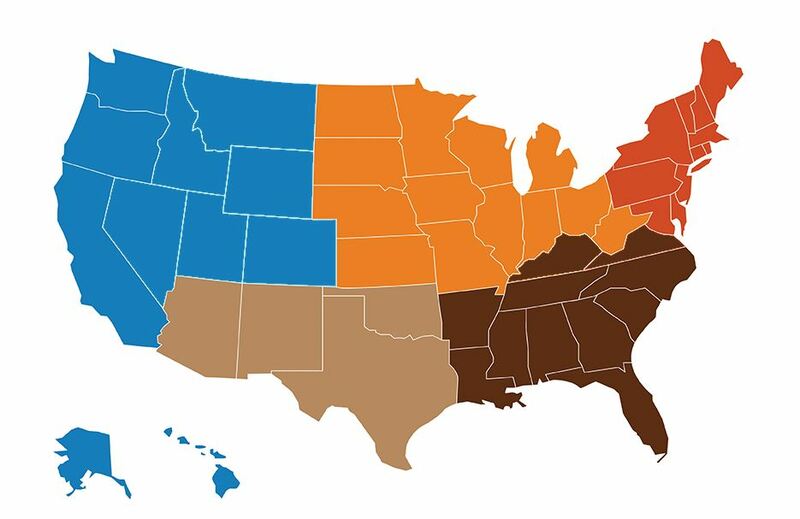 Our clients want to know, where can I find forklift certification near me? The answer is simple: CertifyMe.net. We’re right where your closest, reliable internet connection happens to be. With CertifyMe.net, you get access to these training all in one convenient online place. That means there’s no need to purchase an expensive in-person program and travel to an off-site facility. You can complete your forklift certification in the comfort of your home, or while on lunch at work. We’ve created our online forklift training to be fast, efficient, and comprehensive with everything you need to operate forklifts safely and properly, and avoid accidents. Our online forklift certification is also 100% OSHA compliant, so you know you will always be compliant on the job and can save your employer from paying OSHA fines. An employer seeing your CertifyMe.net training on your resume will want you on their team! Still wondering where to get forklift certification? The answer is simple: CertifyMe.net! Give us a call today at 1-888-699-4800 to get started today. For pricing and course overview descriptions, check out our Courses and Pricing page. Learn about city specific information on where to get forklift certification with this extensive list by CertifyMe.net. Being a forklift operator is a great career move. Learn about where you can get forklift certification so that you can get your operator card as soon as possible! Chicago, IL is a major city where construction is always being done, and thus forklift operators are in high demand. If you’re in Chicago or planning to move there, learn about where you can get forklift training.